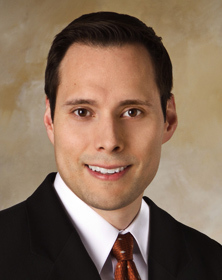 Dr. Alex Colque was born and raised in Waukesha, Wisconsin and is a board certified Plastic Surgeon specializing in Cosmetic Surgery of the face and body in the greater Milwaukee area. He is best known for his excellent technical skills and his custom individual treatment plans. He applies his talent, training and aesthetic eye to provide his patients with the best possible cosmetic surgery result. Dr. Colque attended college at the University of Wisconsin in Madison and was a part of the top Honors and Medical Scholars Program. He went on to attend Medical School at the University of Wisconsin School of Medicine and Public Health. While a student there, he soon discovered his love for anatomy and talent for performing technically challenging tasks. Naturally, Dr. Colque chose Surgery for his residency. He completed this residency at the University of Colorado in Denver. Dr. Colque completed his training in Plastic Surgery at his top choice, The Methodist Hospital in Houston, Texas. This is one of the best cosmetic surgery training programs in the country and has trained some of the top cosmetic surgeons in the world. His extensive operative experience and training has fully prepared him to offer his patients the latest surgical choices in plastic surgery performed safely and conscientiously. As a cosmetic plastic surgeon, he believes that the best surgical and non-surgical enhancements should not alter the qualities that make each patient unique but rather highlight the beauty that exists in each individual. Dr. Colque and his staff work closely with patients to customize each treatment plan. Additionally, safety and patient education is one of their highest priorities. Dr. Colque is proud to now bring all of his experience and extensive training at some of the best medical institutions back to serve the communities in his hometown of Waukesha, the greater Milwaukee area, and the entire state of Wisconsin. To see Milwaukee Wisconsin Cosmetic Plastic Surgeon Alex Colque, M.D. Please call our office in Waukesha at 262-781-9000.